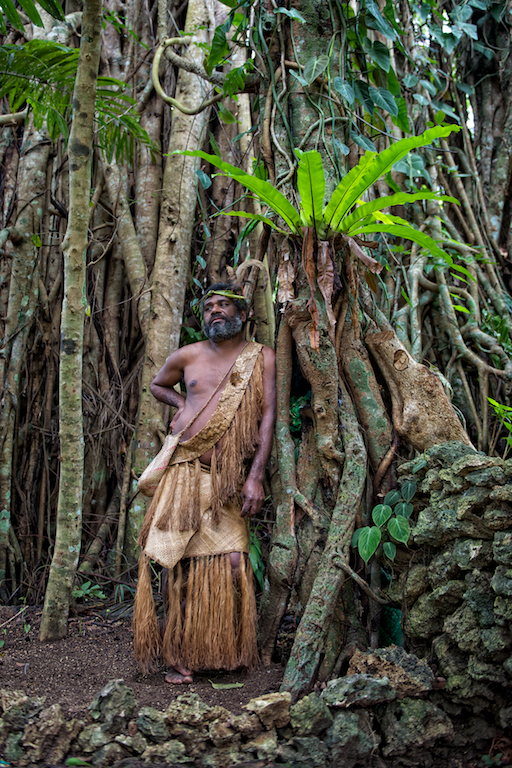 There is a village in this small corner of Vanuatu, where several years ago a group of indigenous people came together to discuss a plague that threatened to destroy them. Their children were being abducted by corporate marketers hawking products irrelevant to their preferred way of life. Their people were abandoning centuries old values, ones that uniquely defined them. In short, they were in danger of losing their culture, yet another victim of the relentless spread of western consumerism. They talked, they debated and they listened as a community, and in the end they made a daring decision. They would abandon the trappings of modern society and embrace the ways of old. 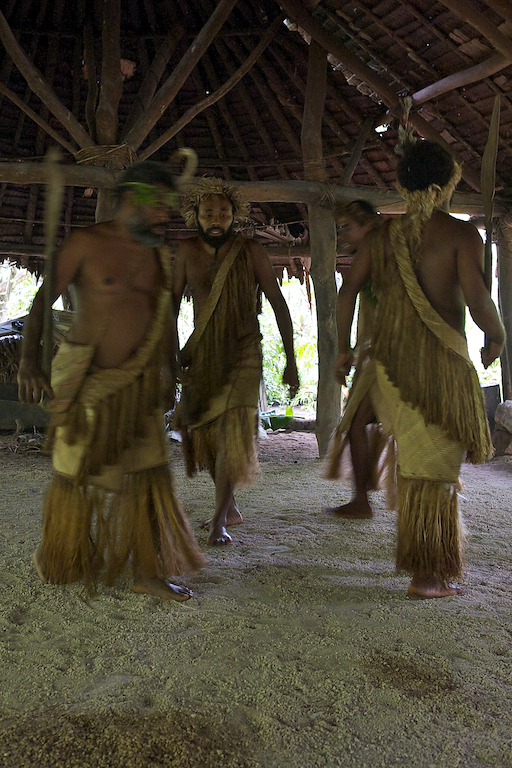 They formed Ekasup Village, just outside of Port Vila. It’s hard to describe Ekasup Village. On its face, it is an educational facility designed to give tourists a real taste of traditional island life, prior to Western influences. To that end they do a marvelous job. Each small group of tourists are greeted by a professional guide who is a village resident. They are then led through parts of the village, where residents dressed in traditional garb demonstrate various crafts and natural medicines and staple foods. There is also a singing and dancing demonstration at the outdoor community meeting spot, a semi-circular lava stone, open air facility painstakingly built by the residents. The nominal cost of the tour, $20 USD, is worth every penny as everyone who I spoke to attested. Children enjoyed the dancing, singing, demonstrations and samples of traditional foods. But Ekasup Village is far more than its face. Behind the very effective attempt to educate, there exists the reality of village life. Ekasup is actually home to approximately 60 families comprising 500 individuals. Started in 1996, the village was completed in 2001, although improvements continue. Residents agree to live as did their ancestors. 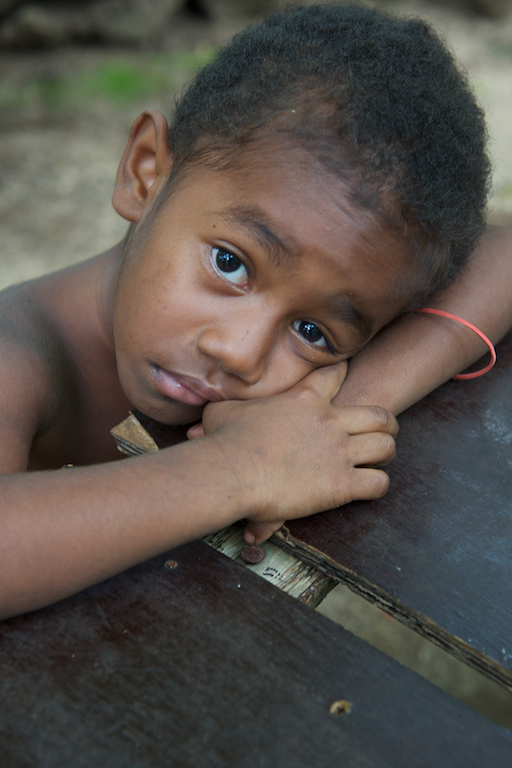 There are no watches, telephones, radios, televisions or other electronics in the village. The village has its own school and the villagers own the land which traverses Erakor rain forest and winds down a hillside to the shore. 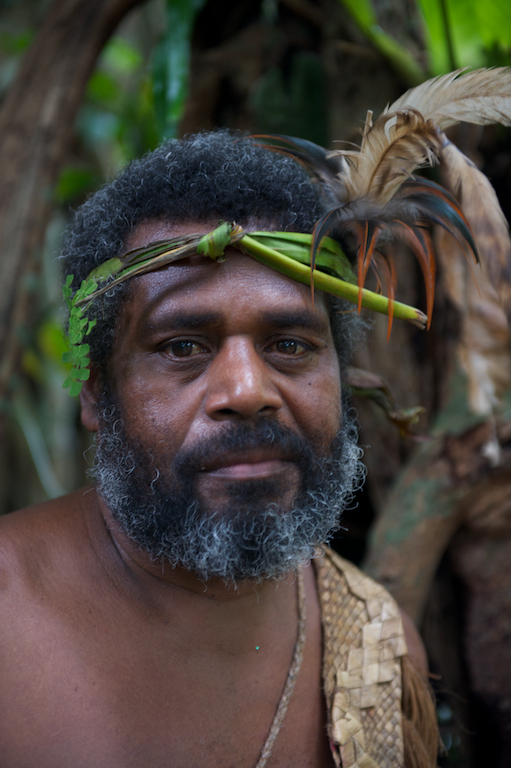 Sifo, the adult son of the tribal chief, served as my guide and admirably tolerated my incessant questions. 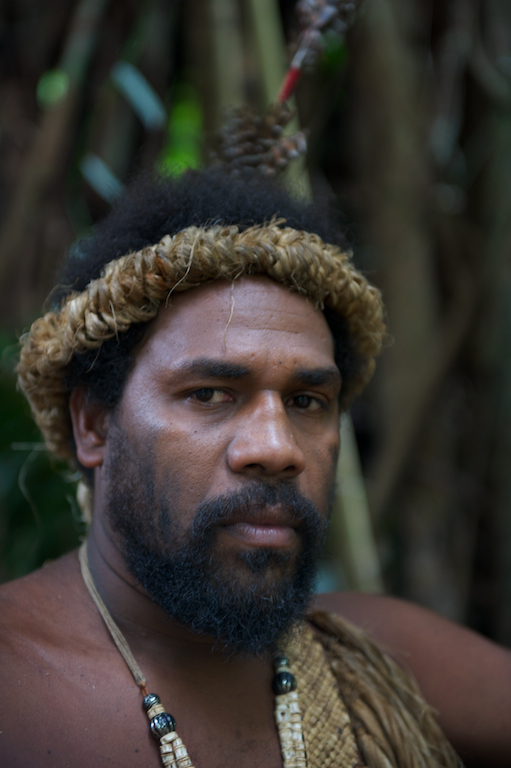 At one point he introduced us to his youngest son, who is learning the traditional ways from his father and the village elders. The village includes a magnificent ficus tree, used by the ancient villagers as a shelter from monsoons. When they are not educating tourists about their culture, the residents are free to do as they like. Some fish, others tend gardens, and just about everyone naps during rainy weather in the off-season. The spiritual practices of residents runs the gamut from plain vanilla Christianity to traditional animist practices. An interesting side note is that my wife and I were abandoned by our taxi driver, who dropped us off at the village and then disappeared. As a result we had to spend extra time at the village, one of those true gifts that happens when you are flexible enough to go with the flow. The extra time we had allowed us to learn more about this tribal culture and to enjoy the company of our the village residents. One of the more interesting cultural practices involves the use of chicken feathers in the headdress of the men. The feathers represent the colors of their pigs and the more ornate the feathering, the more impressive their pig holdings. This serves to advertise the status of the single males during tribal gatherings, when eligible women will be present. 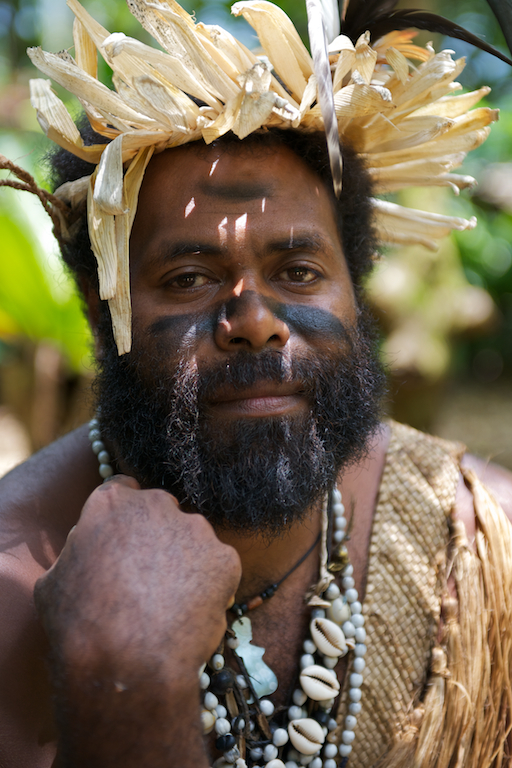 If your travel plans include Vanuatu, be sure to carve out time for this excellent educational experience.